This article contains steps to fix the problem with Windows Service installation during xPortal3000 installation. › Installation for Windows Service was not successful. 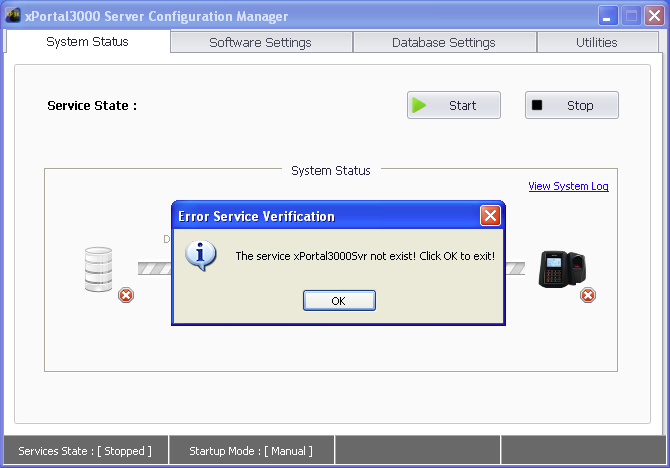 › Get error message upon start the Service. › Get error message as shown below during the installation. › The Windows Service installation was unsuccessful. › Error upon start the Service. › Microsoft .NET Framework 1.1 was corrupted. › Some files cannot be located from the Framework program files folder. Clean up the .NET Framework first. See AA-00233. Re-install the Microsoft .NET Framework 1.1. See AA-00232. Restart your PC upon completed the installation. 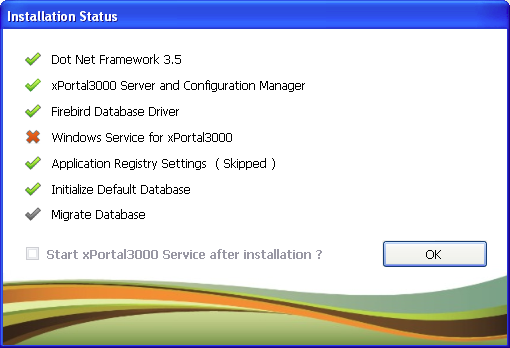 Re-install the xPortal3000 software. See AA-00285. Summary: This article contains steps to fix the problem with Windows Service installation during xPortal3000 installation. 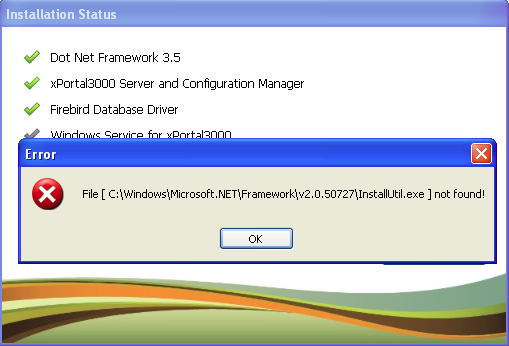 How to install Microsoft .NET Framework v1.1?